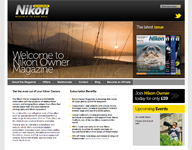 London, UK, 13th March 2014 – Nikon today adds the all-new Nikon 1 V3 to the line-up of revolutionary Nikon 1 system cameras. Offering top-speed professional performance in a small, solid body, nothing gets past this portable system camera. A superb step-up or secondary camera, the Nikon 1 V3 is built for serious photographers who want speed, power, and reliability, plus the freedom to travel light. 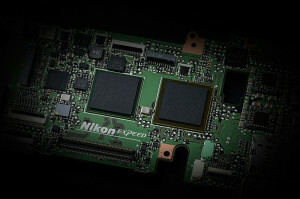 Nikon’s game-changing hybrid AF system now boasts 171 autofocus points, 105 of which are phase-detection points that lock quickly onto action at breakneck speed; and the camera’s RAW format continuous shooting speeds are faster than a D-SLR, enabling split-second wonders to be captured with pinpoint precision. 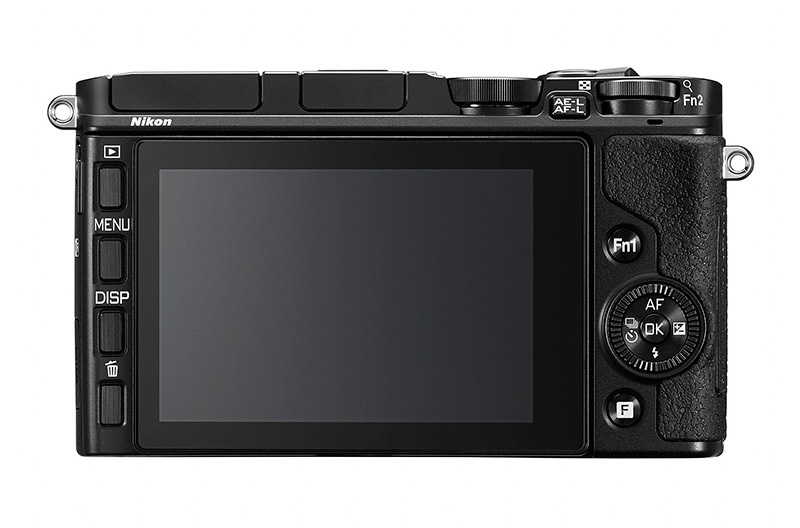 The large 18.4-megapixel CMOS sensor with ISO 160–12800 ensures beautifully detailed results, and the new EXPEED 4A image processor enhances overall performance, driving the camera’s class-beating speed and rich dynamic range. 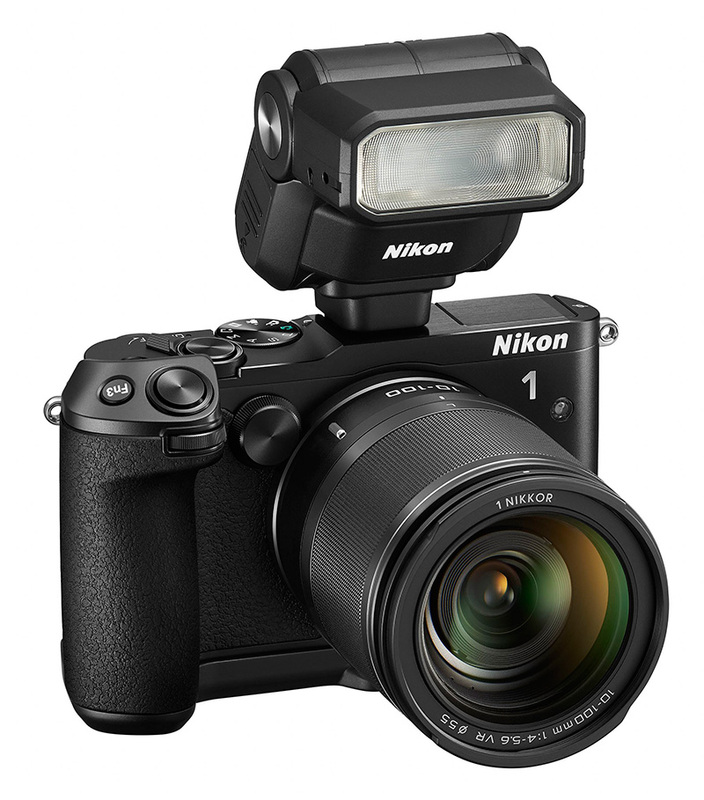 In a first for Nikon 1, the Nikon 1 V3 boasts a super-responsive tilt-screen touch monitor that puts vital shooting functions right where you need them, and built-in Wi-Fi makes it easy to do more with your images via a smart device. 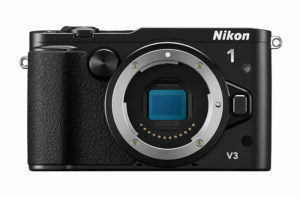 The smart choice for fast, fuss-free filming, the Nikon 1 V3 extends the Nikon 1 movie advantage with a host of new movie modes that offer more ways to control the drama. New optional system accessories include the Nikon 1 DF-N1000 Electronic Viewfinder and the tough, functional GR-N1010 Grip, both of which put D-SLR level control at your fingertips. Launching alongside the Nikon 1 V3, a new 1 NIKKOR super-telephoto lens and a thin, power-drive zoom kit lens give Nikon 1 photographers the creative edge in any situation. 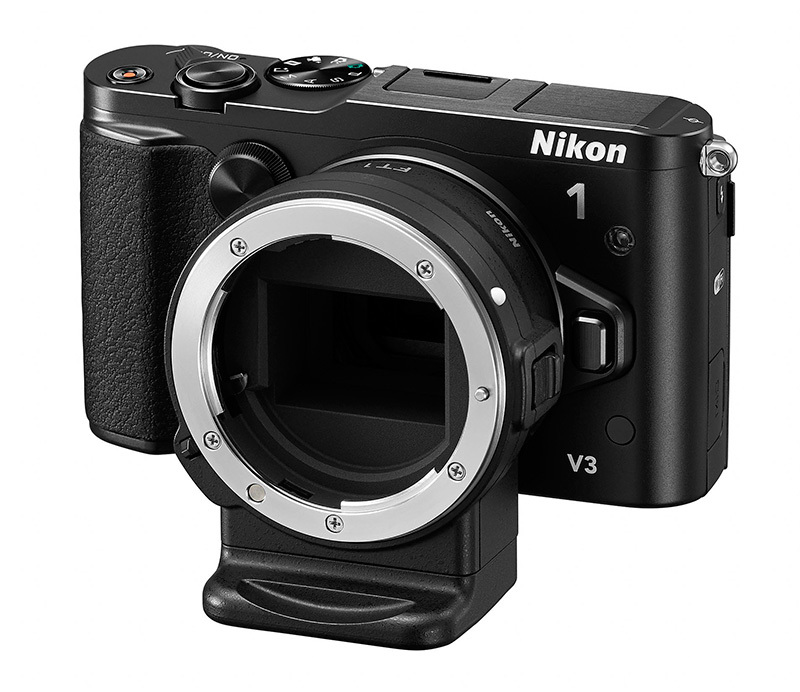 Designed for those who refuse to let the action pass them by, the Nikon 1 V3 ensures pro-calibre performance and quality, shot after shot. 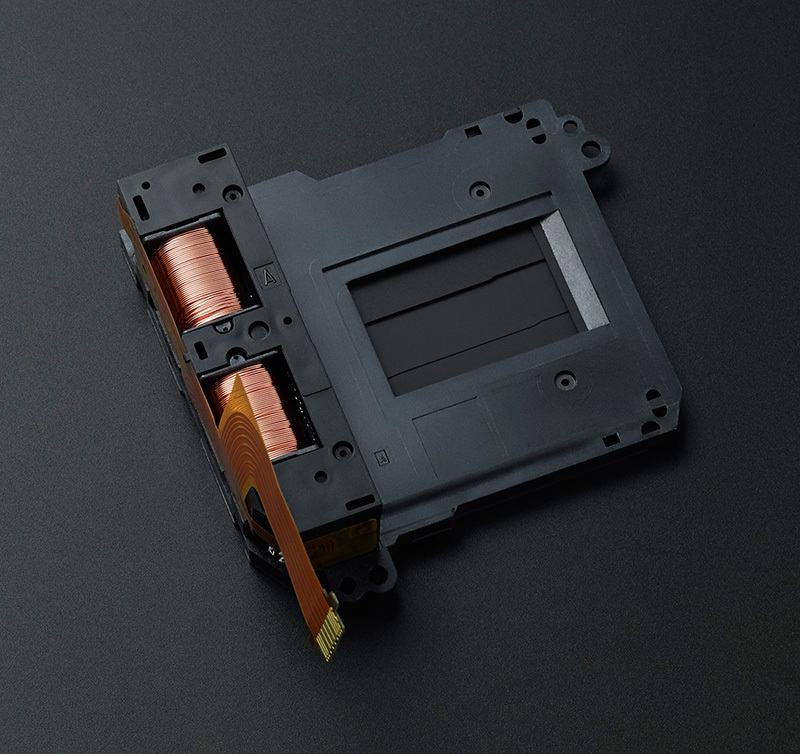 The large 18.4-megapixel CX-format CMOS sensor has no optical low-pass filter so it can make the most of every megapixel: even the finest textures are captured in crisp detail, and a wide ISO range of 160–12800 ensures pristine images in low light. 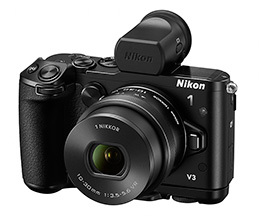 Faster than a D-SLR, the Nikon1 V3 offers blazingly fast continuous shooting speeds of up to 20 fps with continuous autofocus, and the camera can snap 40 RAW format images at up to 60 fps with focus fixed at the first frame. The new EXPEED 4A image processor powers this exceptional speed and image quality with two powerful engines: one engine ensures rapid write times are handled with ease, and the other ensures superior noise reduction, extraordinary sharpness, and richly graded images. 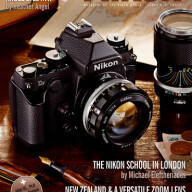 No matter how fast the action unfolds, the breakthrough Nikon 1 hybrid AF now uses 171 autofocus points (increased from 135 points) to lock quickly onto your subject: an impressive 105 phase-detection AF points are evenly spaced across the middle of the frame for spectacular action focusing and sharp movie shooting. Contrast-detect AF points extend to the edge of the frame and enable remarkably sharp detail, even in difficult lighting situations. 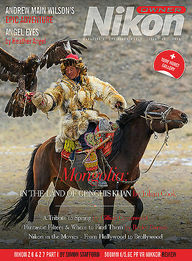 The Nikon 1 V3 is all about freedom of composition. 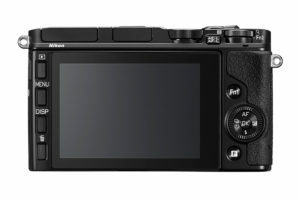 Designed to let you fine-tune and create without taking your eyes off the subject, the camera boasts a main command and sub-command dial, two programmable function buttons, and a feature button for quick access to the camera menu. The thin tilt-screen offers super-responsive touch control, enabling you to focus, shoot and adjust key settings, or preview creative functions, simply by tapping the 7.5-cm (3.0-in. ), 1037k-dot LCD monitor. It’s easy to disable the touchscreen or set the camera up for dual touch/button operation. For further precision, the new optional Nikon 1 DF-N1000 electronic viewfinder (EVF) offers near 100% frame coverage: this detachable 2359k-dot EVF delivers high-contrast, high-resolution performance, displays vital shooting information, and can magnify subjects for precise manual focusing. 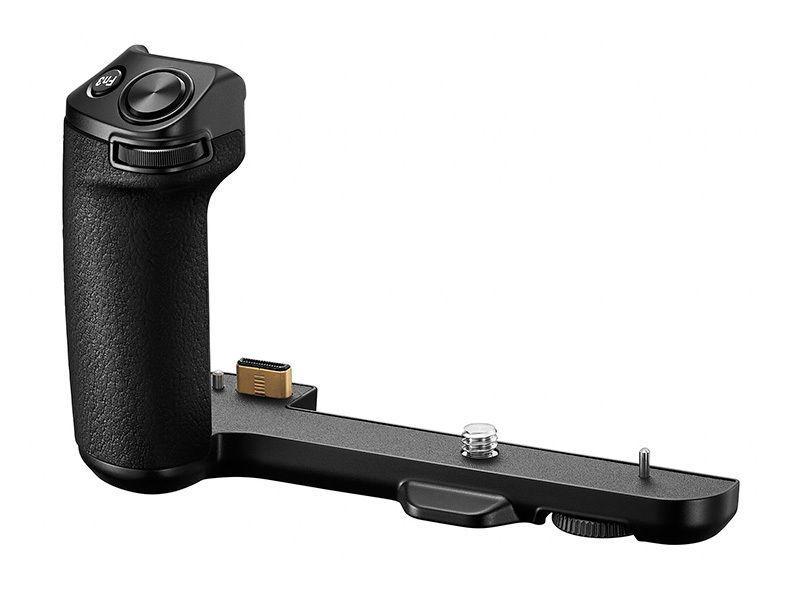 For additional stability when shooting with long lenses, the optional GR-N1010 Grip boasts angled controls that allow comfortable access to the shutter-release button, and the grip has a third programmable function button and a subcommand wheel. 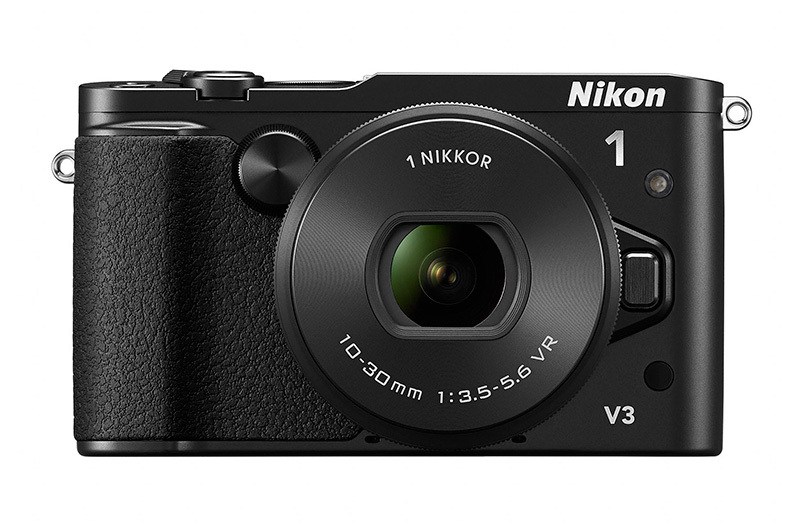 The Nikon 1 V3 is ideal when you want to pack light, move fast, and film discreetly. Its hybrid autofocus system with quick and accurate phase-detection AF ensures smooth video action with precision subject tracking. You can hit the record button to start filming instantly, or take manual control over exposure and ISO settings, and electronic VR (E-VR) ensures blur-free footage for HD movies shot at 1080/30p or 720/30p. You can achieve dramatic effects with Slow Motion, a function that plays back a three-second, 120 fps HD movie clip over 12 seconds, and new creative movie modes making their debut in the Nikon 1 V3 include Fast Motion, Jump Cut, and 4-Second Movie. 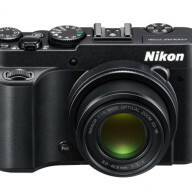 As with all Nikon 1 cameras, you can capture high-resolution stills while filming simply by pressing the shutter-release button, or use Nikon’s new Auto Image Capture: available for the first time in the Nikon 1 V3, this function analyses every frame and automatically snaps photos when conditions are best. Original Nikon 1 innovations offer quick and easy ways to always get the best shot or turn the ordinary into the extraordinary in-camera. The acclaimed Best Moment Capture mode now features Nikon’s new Active Selection function, which snaps up to 40 full-resolution shots in less than a second and lets you choose the one to keep. The all-new Creative Palette, available in the camera’s Creative Mode, offers a new way to apply artistic, studio-quality filters to photos before you shoot. Creative Palette adjusts brightness, saturation, and white balance as it cycles through various effects: all you need to do is slide your finger around the ring on the touchscreen, or rotate the multi selector, and the on-screen image changes to show you what you will capture the moment you take the shot. 10–30mm f/3.5–5.6 PD-ZOOM lens is available for the first time as a kit lens for the Nikon 1 V3, and delivers speed, flexibility, and superior image quality right out of the box. Equipped with an automatic electronically controlled lens cover as well as a retractable lens mechanism, this thin zoom lens ensures you capture even the most unexpected photo or movie moments without delay. Professional control: main command and sub-command dial, two programmable function buttons, and PSAM shooting modes. Lightning-fast fps: shoot at up to 20 fps with continuous AF, or snap 40 RAW images at up to 60 fps with focus fixed at the first frame. Professional quality movies: Full HD (1080p) movies (aspect ratio 16:9) at 60p/30p frame rates and full manual control over settings. Electronic VR enables blur-free footage for HD movies shot at 1080/30p or 720/30p. Capture high-resolution stills while filming, and view HD movies recorded at 120 fps in extreme slow motion. 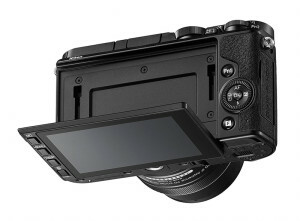 Virtual horizon: roll (horizontal inclination) and pitch (forward or rear inclination) information can be confirmed via the LCD monitor, or the external viewfinder. Highlight display: alerts you to possible exposure problems during playback. Easy access memory card slot: makes it easy to insert micro SD memory cards. 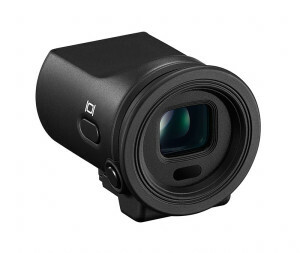 DF-N1000 EVF: detachable 2359k-dot electronic viewfinder. Delivers high-contrast, high-resolution performance and near 100% frame coverage. GR-N1010 grip: adds stability to the camera for reliable telephoto performance. 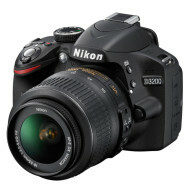 Features an extra programmable function button, subcommand wheel, and shutter release button. SB-N7 Speedlight: a compact and powerful flash unit. 1. To use the built-in Wi-Fi, simply download the free Wireless Mobile Utility to your smartphone or tablet. Compatible with iOS™ and Android™ smart devices, the utility can be downloaded for free from Google Play™ and the Apple App Store™. Android, Google, Google Play, YouTube, and other marks are trademarks of Google Inc.